On September 20, the National Anti-corruption Centre of the Republic of Moldova (NAC), with the support of the United Nations Development Programme (UNDP) and the Government of Norway, launched the national information and public awareness campaign ‘Integrity is Freedom’, based on the provisions of the Integrity Law No. 82 of 25.05.2017 and the new National Integrity and Anticorruption Strategy for 2017-2020 adopted by the Parliament on 30.03.2017. New regulations introduced, for the first time, the notions of “political integrity”, „institutional integrity” and “integrity in private sector”, thus unifying integrity and anticorruption policies in these sectors at the national level. “The goal of the new Strategy adopted recently by the Parliament is “Integrity instead of corruption”. To fulfil this strategic objective it is essential that each of us, the citizens of Moldova, begins to think in a different way. And in order to begin thinking differently it is important to learn the issues we are used to from a different perspective. Precisely, from the perspective of the supremacy of the law and of public interest. To produce such change of mentality, the campaign will offer citizens simple and accessible information about the integrity obligations of politicians, economic agents and most of all of public employees and public institutions regarding their responsibilities to citizens”, Cristina Tarna, Deputy Director of the National Anti-corruption Centre, stated. The Campaign includes a number of video materials, presenting “integrity lessons” based on everyday examples and situations. Campaign materials can be accessed on social media networks: Facebook, Youtube, as well as through the Campaign’s banners “Integrity is freedom” placed on the webpages of public institutions which accepted a partnership with NAC to promote the Campaign. In parallel, training courses on the requirements established by the Integrity Law No. 82 of 25.05.2017 will be held in public institutions. The Campaign “Integrity is freedom” has a positive message. The slogan says that if corruption creates captivity and dependency on private interests, integrity is what can liberate. The campaign comes to cultivate a new culture of integrity in Moldova. 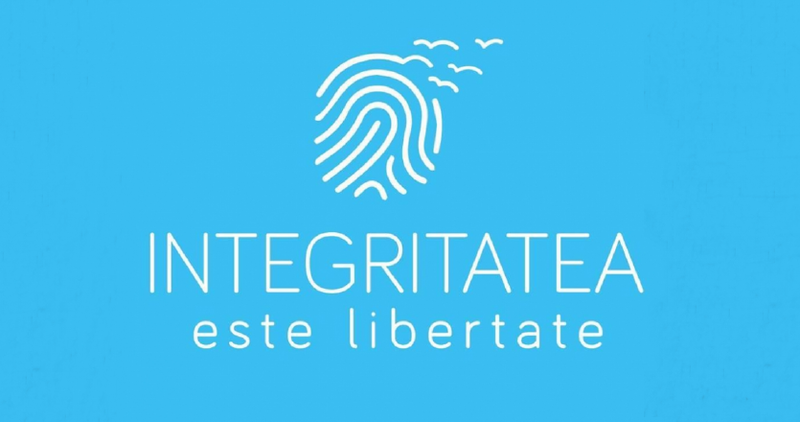 And because integrity should become a feature of each person, the logo of the Campaign represents a finger print – the symbol of individual personality, and birds flying out of its lines – as the symbol of freedom. ‘We support this campaign due to our believe that co-ordinated prevention measures can be more effective than fighting the consequences of this negative phenomenon and are essential to increase, on the long term, citizens’ trust in the state’s ability and willingness to promote and implement reforms for the benefit of the citizen’, Olga Crivoliubic, manager of the project `Strengthening the Corruption Prevention and Analysis Functions of the National Anti-corruption Centre`, stated. The Campaign’s goal is in line with the Sustainable Development Goal 16 ‘Peace, justice and strong institutions’, which sets an ambitious agenda to improve the way nations of the world govern their citizens and calls for concerted global action to substantially reduce corruption and bribery in all their forms; significantly reduce illicit financial and arms flows, strengthen the recovery and return of stolen assets; ensure responsive, inclusive, participatory and representative decision-making at all levels; and ensure public access to information and protect fundamental freedoms.